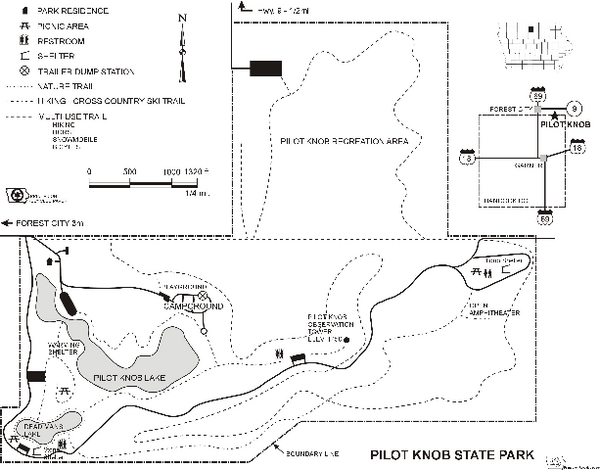 Map of trails and park facilities in Pilot Knob State Park. City map of Northwood, Iowa with key of churches, parks, and other points of interest. Map showing lake depths, trails and facilities of Beeds Lake State Park.